In 1993, Joseph Modlin, an Indiana native, began training in classical and modern dance performance at Ball State University and performed with Anderson Young Ballet Theatre, both under the direction of Ms. LouAnn Young. Joe moved to Houston in 1997, and began a performance and teaching career that has spanned 19 years, 7 professional companies, and continues extending to flourish in the Houston community and nationally. Joe has performed / worked with Hope Stone, Inc., Houston Repertoire Ballet, Chrysalis Dance Company, Houston Dance Theater, Allegro Ballet, Freneticore, and Woodlands Dance Company. He has been invited to work as a guest artist with independent choreographers and performance artists such as Leslie Scates, Erin Reck, Amy Ell, Karen Stokes, Lindsey McGill, Toni Valle and Sara Draper. Joe completed training & certifications in Gyrotonic & Gyrokinesis in 2007 and works with an established clientele and is in demand as an Instructor in the city of Houston. Joe teaches group classes and works with private clients at Coach Kimmie Formula Fitness. He has taught for Hope Stone, Inc. Suchu Dance Company, Houston Metropolitan Dance Company, Anderson Young Ballet Theatre, Ball State University and ACDFA at Texas A&M University. As a performing artist, Joe is known for his striking stage presence, masterful partnering and movement skills, and recently began private movement coaching with dancers in Texas and in Indiana. Joe teaches in a wide variety of settings and groups. 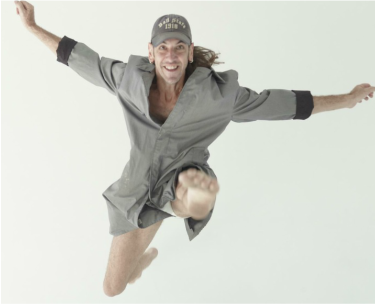 Through a deep understanding of movement, discipline and anatomy, he transforms movers with humor and a love of collaboration through movement. Designed with belly dancers and practitioners of other movement disciplines in mind, this class introduces belly to ballet with an emphasis on proper alignment & understanding of basic technique, movement, and terminology in a fun, relaxed environment.